Wired magazine has to many been the guiding light informing many as to the opportunities and challenges of our new digital age. Its somewhat ironic that although it has had the Wired.com website it has only just embraced the mobile digital app. Some would suggest it failed to practice what it preached. That is until now. Wired’s first digital edition is now available for the iPad. They have chosen to use Adobe technology to develop both the print magazine and the enhanced digital version simultaneously with the same set of authoring and design tools. They also plan to integrate social media and experiment to learn what their readers want. Wired print magazine sells some 82,000 newsstand copies a month and has some 672,000 subscribers. 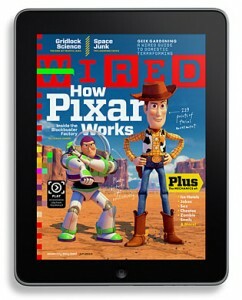 Wired.com claims they sold 24,000 copies of their iPad app in the first 24 hours at $5 a copy. As Chris Anderson, Editor in Chief puts it Wired is finally, well, wired. Will Dedicated eReaders Survive the Mulit Media Push? Last week Jeff Bezos stated that a colour Kindle was some way off and that he had "seen several things in the laboratory, but they are not quite ready for production." He also stated that Amazon intends to keep the Kindle focused on being a reading device. All very pragmatic and logic but are Bezos’s comments more about defending its city position against the Apple and positioning expectations. So we now have many rumours circulating claiming another Kindle is coming without touch screen or colour but with a sharper and more responsive display and will be thinner. We ask ourselves - so what? Meanwhile the number of new ereaders grows and Sony have announced their launch into several new markets, including Japan, China, and Australia. Research from Informa Telecoms & Media claim that ereader device sales will peak at 14 million units in 2013, before falling by 7% in 2014. Not surprisingly they based this decline on a shift away from dedicated e-readers toward other multifunction device types, notably mobile phones and tablets. They also conclude that the trend will lead to a segmentation of the e-reader market into low price, low feature models at one end and higher price devices with advanced media features at the other. The findings are understandable and point to some interesting potential opportunities for authors, publishers and resellers. The envisaged trend is very similar to that previously seen in other media sectors. Prices fall as the technology gets adopted but also suppliers reduce cost by cutting out the frills and looking to supply the basics. MP3 players are a classic example where once relative expensive players have shrunk in price, size and functionality. What many thought was a selling point such as carrying your whole library around with you becomes a luxury and we move from an ‘iPod’ to a ‘Nano’. So what will happen when and if the ereader where to cost less than $100? The one certainty is that mobile is a must and that would indicate connection is more important than collection. JK Rowling To Go Digital? J K Rowling has always stood firm against ebooks and was even subject to a 2009 April Fools joke stating that the anti ebook author was going digital with Smashwords. Now the cash registers are obviously turning her head and it is reported in the Bookseller that her agency is “currently considering all the options and opportunities that this evolving space provides”. The question of who owns what digital rights is interesting and we would assume that this is her primary print publisher Bloomsbury. But was she wise enough to retain them? When someone with the pulling power of Rowling goes digital there is bound to be much negotiation and the eventual outcome is not always what is assumed. With merchandising, films, a theme park and audio as well as territorial rights it will be interesting to see who has the digital rights today and who gets the job tomorrow. However the real challenge in making these digital is how much they are made to exploit multi media, enhance the text and change the book as we know it today.The other big opportunity would be to go DRM free and not only make a statement to the market, but also hurt the pirates and stop them in their tracks. Rowling has a great opportunity and it would be a shame if the text is merely poured into a digital jacket with a few chosen extras. Don't be surprised to see Google, Apple and Amazon queuing up for the slice of the pie. So you fancy rolling out a screen so thin it can be wrapped around a pencil? Sony has announced a rollable full colour 4.1" OLED display that can be wrapped around a cylinder. The screen is so flexible and robust it can be repeatedly rolled up and has a resolution of 432x240 pixels. The new OLED screens are coming but the question now is whether they can be touch sensetive or have to be fixed to a keyboard. Sony has the technology but has yet to show its application within the mobile device market. Imagine a small mobile that rolls out to be a big media player and still fits into the pocked. Its interesting that as technology gets better and smaller and applications improve we still have this fixed size screen, desire to key in. Who Will Win The Pooles? We must now rethink storytelling in this new media world. This doesn’t mean we divorce ourselves from the written word, but merely from some of the economics of the 256 page book that could be argued to have straight-jacketed creativity to some 75,000 words and often a fixed text format. We have long supported adaption of the Keitai novel in the West and the multi media work of the likes of Kate Pullinger. After all the serial form was used by the likes of Charles Dickens and illustration litter many classics and bring the text to life. The Poole Literary Festival, in partnership with The Media School at Bournemouth University, has now launched what they claim is the UK's first prize for New Media Writing. Entrants are asked to compose an interactive narrative or poem, designed specifically for delivery online or via mobile phone. The creators of the winning entries will win £250, a brand new Apple iPad, and be advised by digital publishing specialist Creative Content, on getting their winning ideas published. The story can be any genre, fiction or non-fiction, poetry, prose or documentary. We believe this is great initiative and along the lines that every festival should be doing. The sponsor is the bookstore, the publisher, the local University or the corporate. Encouraging works outside of the economic jacket may be a great way of creating a new wave of both writing and reading. 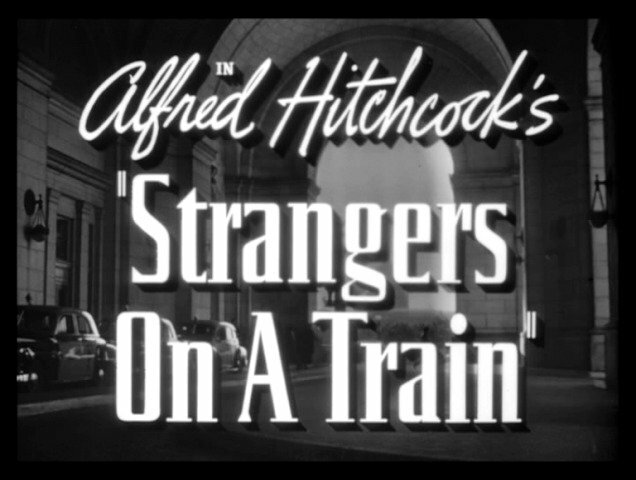 Beware of strangers was and is good advice. This week we read that Google Editions is aiming become the wholesale digital aggregator to the retail channel and line up with the ABA as they have already announced with the UK BA. It makes sense on two counts in that it starts to make friends with those it was in danger of alienating with its Book Settlement and it also offers booksellers a ray of hope when everyone else is trying to digitally circumvent them. The only caution is that Google control the terms and can effectively change these just like others have effectively designing the affiliates in and then when they have the connections, designing them out. In another interesting move Apple’s now wants to be a publisher and follow Lulu and Amazon into the self publishing space. Authors are now starting to get serious channel opportunities and could start to disintermediate the old model. If you are an author with a strong back list, or a mid list author with a good following why not self publish on Amazon, Apple, Barnes and Noble Google and wherever else? If we think about it, these will be the major digital channels in the near future and with relatively little effort authors have exposure, or sales potential, to the majority of the digital channel. As a self published author you don’t ned to carry the corporate baggage and cost structure, your fixed costs are you. The author also has a very powerful too in being able to set their price at a far more appealing level than the traditional market. Google can even offer exposure the author exposure to localised markets and stores. Retail is about the right product, right price and right time. These new digital omnivores certainly look like they are hovering up not only the books the industry wants them to sell but also the books it has forgotten, lost and ignored. In adopting an agency model the publishers may have gained control of pricing and lost control of the channel and many authors. A further thought is that in this new world mass marketing and spending money on glossy ads in trade magazines isn’t going to cut it. 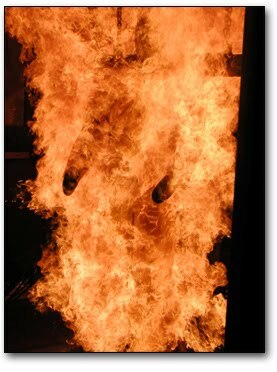 Finally we wonder how those censors in Appleworld HQ are going to deal with self publishing books? Erotica under the shelf in plain wrapping, some editor cuts or a sensible approach and no censorship? Last year Amazon went on a campaign to win over college campuses with to their Kindle DX. The big question is whether it passed or failed their exam? Jeff Bezos said at Pace University in New York that the 10” screen and storage capacity were especially suited for college students but they agree?. They passed the reading test with 90% approval among MBA students at The University of Virginia, but failed the classroom study test with some 80 percent saying they would not recommend it. Others such as at the Princeton University and Portland-based Reed College, liked its long battery life, paper savings and portability, but importantly said no to the inability to scribble notes in the margins, highlight passages or fully appreciate colour charts and graphics. A continual issues is the availability of digital content and devices that are able to meet student needs. Amazon appears undaunted and have announced software upgrades to sort books into collections and zoom in on PDF documents. After all, the market is huge with a prize worth some $4.3 billion and a growing concern by both students and colleges on spending budgets and the cost of higher education. Market-research firm Student Monitor claim that the average student spent $659 on textbooks in 2009. The used book trade is significant and ironically one of the benefactors is Amazon. Now the iPad steps up to the exam table with a number of colleges planning to test it. However its limited capabilities are likely to put it into the same result band as the Kindle and unless textbook prices fall the intial investment may prove a test to far. Kenya to Nationalise Textbook Publishing? Imagine the government stating that they were to start to publishing textbooks and in doing so obviously take control of the market. Would it save money, or merely transfer costs from the private sector to the public one? Would the quality and competitive diversity remain, or would the initiative and incentive to develop be negated and content ‘dumbed down’? Following on the lead shown in Tanzania the Kenyan government is attempting to control text book pricing in their quest to fund universal primary education. A plan by the Kenyan Government, who currently spends some Sh500 million primary school text books, is now planning to enter into the book publishing market. The Kenya Institute of Education (KIE) is seeking to engage in more commercial activities such as publishing of textbooks. The Kenya Publishers Association said such the move would kill their members’ businesses and result in the Ministry of Education developing instructional materials. A Government’s Summative Evaluation of the Primary and Secondary School Education Curriculum report claims that the move will enhance “accuracy of content” and “pedagogical innovations” as a best practice while citing factual and editorial errors by commercial printers. Who has the necessary skills, aptitude and interest is and who is best equipped to develop educational media services and publishing of syllabi, digital content and other educational materials? In the Western free market we take it as a given but obviously, but others are now questioning this. Does State publishing provide a quick funding fix or just a perceived fix and will this be a one off or start a trend? Why pay top ticket for the latest must have when you can buy it at a price we can all afford in a supermarket near you. Be it the latest Dan Brown or Harry Potter or now 16 GB version of the iPhone Wal Mart know how to sell a bargin. They have ticketed the iPhone in the US for $97 with a two-year AT&T contract. This is some $100 under the standard $199 cost from others. Given Apple’s control of everything Apple it will be interesting to know why Apple is allowing such deep discounting just before it next 4th Generation phone next month. Perhaps Apple need to destock the existing inventory to create a switch to the new model. Whatever the reason it spells a good deal for US consumers. Perhaps they also want to create a further buzz to deflate any rising Android momentum and bring back app developers focus that may have been affected by Apple’s recent tightening grip on everything Apple. We have raised the issue of the UK public library versus the High Street and seen little constructive movement. Some would argue that the publishers get paid whatever the outcome, the High Street hasn’t any muscle to defend itself and the libraries are desperate to justify their position in today’s let alone tomorrow’s world. The issue is simple and is free versus pay. Many argue that the public will not go to a library, aren’t members and will opt for the convenience of the Internet. Others that to lend a ebook from your home connection is as easy as buying it online and cheaper as it’s free. Today we read that Barnet Council's digital library in London has opened up its doors and joined a small but growing number of libraries going digital. Nearly 1,000 eBooks have been borrowed from their libraries since the new service was rolled out in February. The surprising element of the offer was that the member can borrow 10 titles at any time and for up to 3 weeks. This means that the library believes that readers will want to consume a digital book every 2 days! The number offered free would appear a bit excessive as each title can only be borrowed by one person at a time. It would appear for more logical to allow one maybe two books at any time and also encourage early ‘returns’. Libraries will go digital. The likes of Overdrive now offer multiple platform support and a large repository of digital titles. The result is that the consumer will find the free model from antwhere at any time very compelling. It could also accelerate the move from ownership to a borrow or rent offer. So how do the reseller compete with a publicly funded free service? Will the author continue to be rewarded on the current PLR (Public Lending Right) model or see a better system directly related to borrowings? How will the new agency models compare on earnings? We have long said that eInk today is ‘black and white TV in a coloured world’. The reality is that consumers want colour and a media convergence device, not a black and white TV. Recently we have witnessed a number of colour ereaders with LCD screens and have seen the ridiculous Alex and Nook with their ‘can't make our minds up’ offer of two screens.We all recognise that for all its limitations, the iPad has delivered colour and its not going back into the old 16 shades of grey. There have long been rumours of eInk colour, but no real delivery dates.Now Epson have announced a display controller that includes a high-performance colour engine. It has a built-in dither function to minimize host overhead, and can be connected to any host processor through a 16-bit parallel or TFT LCD bus. The S1D13524 allows multiregional and concurrent display updates. The advanced sequencer engine, power management, I2C thermal sensor and serial flash support a variety of popular functions.Epsom are working in partnership with eInk Corporation who obviously already have customers waiting for the new controller. The Epson S1D13524 will be available in June with production quantities available to the market in December 2010.EInk plans to offer an S1D13524 kit to enable developers to build prototype and develop next-generation color ePaper devices. Google has launched a TV service that starts to redefine the television and continue its convergence with the web. The "smart TV" service opens up the web alongside TV channels. The service will be in integrated TVs and also accessed via a Google box and already has Sony and Logitech’s lined up respectively. In addition, Google has partners such as Intel and Adobe onboard. The service streams shows from the web using Google's Chrome browser. It can make your TV into a games console, a photo viewer or a music. The TVs and boxes will also use Android and will rely on an Intel microprocessor. The Loitech box will run on a Atom processor with 4GB memory, Wi-Fi, Dolby 5.1 surround sound and a pair of USB ports. You will be able to install an app on your Android phone with a keyboard and a touch-screen D-pad. These will control not only the Logitech box but compatible TVs and set-top boxes, right from the phone. We then have the usual format wars with Google its Android operating system and an open source video project called WebM supported by Mozilla Firefox, and Opera, against H.264 has the support of Apple and Microsoft. No doubt Google will know what you watched when and exercise an advertising angle. Will TV be the same again? Japan Faces Digital Black Ships? We naturally assume that the Japanese market is far more advance digitally than the West but that is not the case. The lead that they have show in Keitai novels and Manga comics may be ahead of the curve but there are salient lessons to be learnt there. The Japanese market itself is defined differently with magazines, books and comics often all together within the same channel and and figures. In 1997 the market was some $30 billion US, today it is under $20Billion, so in just over 10 years it has shrunk 30%. Japan has a fixed price system which is controlled under a network of wholesalers. The major publishers are currently experiencing a continual downturn in both sales and profit and most marked is the drop in comic book. Bookstores over the last 10 years have dropped by 20% from around 21 thousand to 16,400. So will the new digital age stimulate the market or cause further collapse? Will it open up trade just as Commander Perry did with his Black Ships some 150 years ago? We listened with interest to Hiroshi Kagawa, Publisher and owner of IBC Publishing at the recent Seoul International Book Fair. One aspect that we didn’t respect was the Asian approach and attitude to copyright and how it differed to that in the West. Kagawa talked about the obvious issues he faces operating in a country with 50 years rules and a global market that has 70 year ones. Most interesting was his insight into contracts and the fact that they are drawn up after the publication not before, are based on a few principles and not buried in detail and specifics and that they are based on relationships. He asked whether Japan could manage the transition to the contract world of the West and if not the potential implications. However they appear not to be waiting for the Black Ships and Kodansha, a major publisher, is planning to create 20,000 e titles this year and already have some 7,000. Major publishers have formed an association of epublishing called Denshokyo. Android has now attracted 21 hardware makers and 60 carriers in 40 countries and there are now over 60 compatible Android devices. Google claims that over 100,000 new Android devices are activated every day. According to Gartner Android OS has overtaken Windows Mobile to claim the fourth position among smartphone operating systems worldwide behind Symbian (44.3%), RIM (19.4%) and iPhone (15.4%). Android now has 9.6%, with a growth rate of some 700%, whilst Microsoft are stuck on 6.8%. The interesting trend is away from ordinary mobile phones to samrtphones and Android is perfectly positioned to pick up the existing manufactures business as they offer a multi vendor platform. The most predicted and obvious change is the support of the latest version of Flash (10.1) which has been optimised to work on mobiles. Android is first to adopt 10.1 which is expected to be soon be available on other mobile platforms such as BlackBerry, Windows Mobile and Symbian. Many believe Apple’s open and hostile stance against Flash is right. Many others live in the real world and see the huge potential today to use proven and common technology long before HTML5 is fully comparable. Google have also stated that they aim to sell music and when a user purchases a song, they will be able to have it automatically download on their device. Similarly, Google is also building a media bridge which will allow users to easily access their home music collection from their Android device. Android has matured quickly and with Google’s commitment and resources is now a serioius competitor in the mobile space. Labels: adobe flash, Android, android 2.2. It is clear that the publishing marketplace is going through radical changes with new entrants, the rise of author power and existing players all scrambling for a place in this new world order. Today ‘Pubit’ was announced by US Barnes & Noble. ‘Pubit’ provides independent publishers and self-publishing authors with the opportunity to distribute their digital titles through Barnes & Noble.com and the Barnes & Noble eBookstore. They claim to have yet another ‘simple and competitive’ royalty model and compensation process. The content will be in epub format and rendered with Adobe’s DRM protection and onto many computing, mobile and eBook reading devices. So Barnes & Noble are going after the small publishers and self publishing market and follow the lead forged by the likes of Amazon. There is clear an opportunity to attract those many authors who feel disenfranchised by the traditional publishing and reward model. Resellers such as Amazon and B&N can offer higher rewards and access to an established channel. Amazon also announced today a further step into the publishing territory with its new imprint AmazonCrossing. The imprint will offer English language translations of foreign language books. It’s a potentially smart move which offers clients both print and digital formats. The first title will be Tierno Monénembo's award-winning novel, "The King of Kahel," which was originally published in France in 2008 and was the winner of the French literary prize, the prix Renaudot. It will be released for the first time in English in November and begs the question why it was missed by others. A global player, such as Amazon, is in a great position to pick out foreign winners, acquire the rights, translate the work and in doing so cut out the traditional publisher. They can promote it and offer it straight to market through multiple channels and to a very wide and diverse audience. Picking foreign winners is always difficult, but getting the readers to recommend them and then having the sales data to validate them is an interesting and logical twist. For many authors, to be selected and promoted by Amazon to the English language global audience may be similar to winning a literary prize. Whilst the publishing market cosies up to Apple and booksellers align to Google some resellers continue to redefine their role and relationships and refuse to be pigeon holed. Forget wrapping up the fish and chips and coating them with salt and vinegar the British newspaper will survive for ever. The British Library has announced that it is to undertake the largest mass digitisation newsprint programme in the UK - a staggering 40m newspaper pages. Once digitised, the collection will then make them available online. Once scanned the news papers will be then moved to a purpose-built storage facility in West Yorkshire. The digitised versions will be available free to users at the British Library or online via a paid-for website. The programme includes local, regional and national newspapers dating back to the early 1700s. The library is to initially focus on papers that document historical events in the 19th century, such as the Crimean War, the Boer War and the suffragette movement. This isn’t the first time the newspapers have been preserved as the vast majority of the library's 750m pages of newspapers. Previously a microfilm programme was undertaken, but who outside the library, uses or even wants to use, a microfilm reader today? The programme will take some 10 years and in clued both out of copyright and in-copyright material that has been negotiated with rights holders. The cost is not declared but will be well into the tens of millions with the storage facility alone costing a claimed 33 million. It may be starting to rain tablets as manufactures line up to take on Apple and its iPad. The game may be more about getting to market quickly than getting all the bells and whistles into the devices. The Android platform has clearly shown that Apple is not without strong competitors and its adoption onto the tablet market may be interesting to watch. So who is bring what to the tablet wars? The week that Google pulled out of direct retailing its Nesus One and admitted that others can do it better is one aspect to consider. The other is that Google let HTC design its Nexus One and anyone with a HTC Android will tell you it’s a HTC phone. However Google has some great things to build into the tablet; email, search, maps, office and an apps store and well as a cloud approach and that is without YouTube, Google Editions etc. Acer is rumoured to be almost ready to launch and they have the channel distribution and technology competency to make a good splash. There are questions as to whether they will use Google’s Android or Chrome platforms but you can see a trend developing in the Google versus Apple wars. We like the name BlackPad or BlackSlate and it certainly would be interesting to see RIM move up to compete outside their comfort zone. They did make the transition from email to smartphone and from keypad to touch but this will seriously take them into the PC world and it will be very interesting to watch whether their corporate base continues to remain loyal or as some have already started ditches them for generic safety. It is rumoured that the tablet will not be 3G network connected and will be a 8.9” screen and will not be on the market till the end of the year. Dell appear to have interestingly chosen to take on the iPad in Europe first with their 5 inch Mini 5 tablet running on Android. The real question is whether a 5” screen is big enough to differentiate it from a phone and to compete with the larger screens. Dell again has marketing clout and and a very strong distribution and sales operation.It will be interesting if they also can apply some of their good design concepts to the Mini 5. HP announce their intentions early and also announced their changes early too! It is unclear what operating system they intend to use but they surely can’t afford to be late to the party and will certainly throw money at their sales and marketing operation. Micro-Star International is launching a tablet powered by the powerful Nvidia Tegra chip. It appears they are caught between operating systems and have both an 8.9” and 10” models and the user can then chose between Android and Windows 7. We would suggest that if they can’t make up their minds its not always wise to leave it to the consumer. It also demonstrates that Microsoft is loosing the plot. Apparently it is reported in The Telegraph that BT has announced it will be releasing a touchscreen tablet PC that can apparently make and receive phone calls via built in speaker/ microphone or bluetooth. What operating system it will be based on is unclear but the logical move to integrate telephony makes sense and will wake others up to what their offers should be. It doesn’t make any sense to have to pay twice for the internet service as in the Apple model and either loose tethering could have strong financial appeal. However BT is not strong in this market and although it does have distribution and channels its brand is somewhat unaligned. The tablet, which will be launched later this year, will be offered as part of a BT package and targeted at the family and home users market. This narrow perspective could make it an also ran before it even gets to market. Industry analysts Gartner and IDC are now making a distinction between tablet PCs and tablet Pad devices The tablet PC use an x86-based processor and a full operating system, such as Windows, whilst the tablet Pad devices use ARM-based cell-phone and smart-phone chips and mobile operating systems such as Android, Web OS or the iPhone’s OS. This is a significant step change in the market and starts to confirm that Microsoft is on the decline and seriously threatened as computing starts to converge on the mobile. IDC project that 6 million tablet devices will ship this year and that 4 million will be iPads. Interestingly they also see HP as the main threat to Apple. Our money would be on sitting tight and waiting till its time to do the Christmas shopping when things may be a bit clearer! What will the third decade of the millennium look like? Technology will increasingly impact everything and the technology divide across the globe will become a big challenge. Technology will enable us to move into a virtual world, get instant communication, create new communities, explore and even see what we could never imagine possible before. But what will this mean to our access to and interface to information, media and storytelling? Today our views, interests and cultural awareness is restricted by what we can find and access, how we access it, what we can do with it and how we use it.Interestingly, we are shaped more by what we don’t know, than by what we do know. Media is a classic example of where the technology and cultural restriction to information and content can narrow our perspective and thereby who we are.Someone who grew up in the 50s did not have the capability or access to the rich variety of music that existed then. Their taste was dictated by what and who they knew and could hear. Today, we all have access to just about every conceivable genre, taste and also every manifestation of any work every produced. This opportunity has been created by technology. However, the way in which we discover, access, experience and form opinions on music is varied and often haphazard. As a result everyone’s taste is more eclectic and the music industry now has to support a rich variety of taste. Genre and sub genre are still important but people expect access to a width and depth of range of music. So does the biggest aggregator of information and media win the future by simply ‘slicing and dicing’ it into verticals? Some will suggest that the publisher should own vertical spaces. We would suggest that we first have to define the term ‘publisher’ and second, we have to accept collaboration and cooperation is now a given. Aggregation is not about content as we knew it yesterday, but about referential links, contextual information and about virtual aggregation. Google doesn’t hold or own every piece of information, just the indexes and links to every piece of information. Do you only need one Google? No, as Google indexes it one way, there will be others who will index and provide and present value differently. Do we all have to own our media and have libraries of CDs, DVDs and books? Do physical bookshelves still define who we are, or are they mere decorative features? 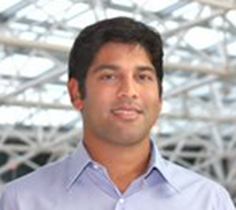 Cloud computing and high speed mobile bandwidth will break the old ownership paradigm. People will still collect media but the majority of media will be on demand, in real time and be shared. Our interaction with the simplest of technology is not natural. If voice recognition apps work on a mobile phone today, why do I have to key in instructions to my PC? We would urge all who have not watched Pranav Mistry on his views on our technology future, to watch it. It shows what is possible and what he is developing today in the MIT labs and what will be mainstream tomorrow. Mistry redefines the user interface in ways which are compelling and that frees us from; the screen, the keypad and even the touch screen. In doing so, he will enable humans to interact intuitively with technology in the future. We already have the Bluetooth earpiece for the mobile. Why not the chip in the ear? Will we bypass the screen and read direct via imposed images on the retina of the eye? We often think of huge leaps forward as impossible. When we see the sci fi programs such as Dr Who where he reads a printed book by flicking the pages, we think that would be impossible. However when we watch a video of the technology actually scanning a book at great speed today in a Japanese labs in the University of Tokyo we have to wonder just how long before we can do it for ourselves? Those who believe that we are going to interface with technology in the same way as we do today are in for some surprises. 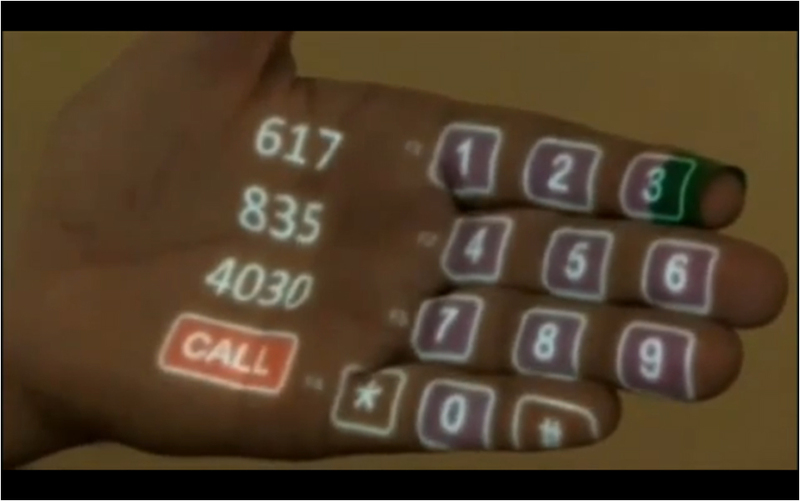 In the very near future intuitive human interfaces will become mainstream. We don’t advocate that we will all become ‘Six Million Dollar’ bionic men but recognise that the technology will exist and its adaptation is inevitable. We are now entering an era where bandwith and connectivity become ubiquitous. This removes the network as a constraint and opens up the potential to do anything, anywhere, anytime. We will connect and integrate anything in real time, which changes how we will develop business systems and applications, how we will store and access data and how we will consume media. Knowing every click and every detail about who and when it occurred gives us both opportunities and many social challenges. The greatest challenge facing us is ‘privacy’ and how we will marry knowing everything against the temptation to exploit it in ways that go too far and are not in the public interest. Today we have a Rights business with no registry and we express rights as we have for many years. The problem is that technology is now fundamentally changing how we interact with intellectual property (content). US legal professor Larry Lessig explains that the rights conflict we now face is far more fundamental than the enforcement of yesterday’s rights. He claims that we now have a user generated content culture that is being accelerated by new technology. This culture embraced by the younger generation encourages them to remix, repurpose content and represent if differently. He asks whether this fair use, or piracy. Lessig believes that it is the democratisation of creation. He finds that the older generation ‘watched’ TV and ‘listened’ to music, the younger generation ‘makes’ or ‘remixes’ TV and music. As this generation grows older, common sense needs to prevail and common licensing needs to be adopted. We expect that ‘common sense’ will prevail and digital content will be better licensed and controlled. The impact on the media industry and digital content will be significant and may well start to redefine publishing as we know it today. It will also impact on creator royalties and reward structure. Will publisher size still matter in the new world and will the economies of scale and scope still dictate? Will there be 6 major publishing trade houses or 600? Today’s big publishers are relative trainees in the wider media and technology markets. As media merges, publishers will increasingly be measured not by the size of yesterday’s market, but by the wider and much larger market. This would automatically suggest that multi media conglomerates such as HarperCollins and Bertelsmann could succeed if they organised themselves appropriately. However, turning round a battleship in a storm may not be as easy as turning a dinghy. We believe that the number of ‘publishers’ will explode with more authors choosing to self publish. What will be the role of the publisher in the new world? The market will always value selection, review, validation and aggregation but general trade genre such as fiction may be less interested in valuing quality and more about presentation. Everyone could be a publisher but the skills now need to be cross media. We believe that tomorrow publishers will pool resources and skills such as technology and the size of the organisation will shrink dramatically. The publisher will become the packager, the agent, the sponsor, the producer, the ‘manager’. What we envisage in the future is a move from the corporate to the passion and veracity of the past. It will be a new age of publishing, driven by those with the taste, passion and enthusiasm to spot and nurture talent and the conviction and belief to publish in a more ‘hands on’ and entrepreneurial manner. They will know what will work digitally and what will work physically. They will be able to see the media opportunities and have the social and technical infrastructure to support them. They will not need the corporate support infrastructure of today. This shift will ensure we arrest the dumbing down of literature by the corporate and technology businesses of today. The digital market is growing at a pace which is hard to predict. The US market is clearly leading the way, as are sectors such as academic publishing. The IDPF report claims that sales over the last quarter in 2007 were $7 million, in 2008 rose to $16 million and shot up to $55 million this last year. This may still represent single digit market but is growing at a significant pace. The UK Publishers Association claim 2008 sales have doubled to £150m and now represent 4-5% of the combined physical and digital UK sales. The majority, some £130m, came from the academic and professional sector. We are confident that US and UK digital sales will rise to 15% of the market over the next 3 years. The issue is whether the overall market will remain flat and digital sales will cannibalise physical market. We expect to see a continued rise in academic, educational and professional sectors where many of the sales will be substitution. We would predict that by 2015 the digital market share could be some 20% to 25%. We also predict that by 2015 some sectors will be ‘digital’. At the end of 2009 we published ten short term predictions on the Brave New World blog covering these areas of publishing. Four months on we stand by these and urge you to follow their progress. The Brave New World report was published less than four years ago, in November 2006. Its aim was to identify the opportunities and challenges for booksellers in this new emerging digital market. We did not write the report and walk away. We undertook the task of updating it through the Brave New World blog. When we started the blog there was no Kindle, no iPhone, no apps; Google were a threat but there was no Book Settlement; libraries were still full of books with not an ebook in sight and digital ebook format wars still prevailed. We now find ourselves with; a colour tablet, a new ecosystem ‘Appleworld’, a growing digital market, a new pricing model, Amazon present in all areas of publishing, no Microsoft Live Book Search, Google in litigation, epub, Adobe controlling DRM and much more. 1. The inevitable convergence of technology. In a highly visual and coloured world, who would have expected a ‘black and white’ device to break new ground? The eInk technology offered the ability to read in bright sunshine, had a long battery life and was the size of a book but lighter. It could store thousands of titles and enable you to carry your whole library around with you. 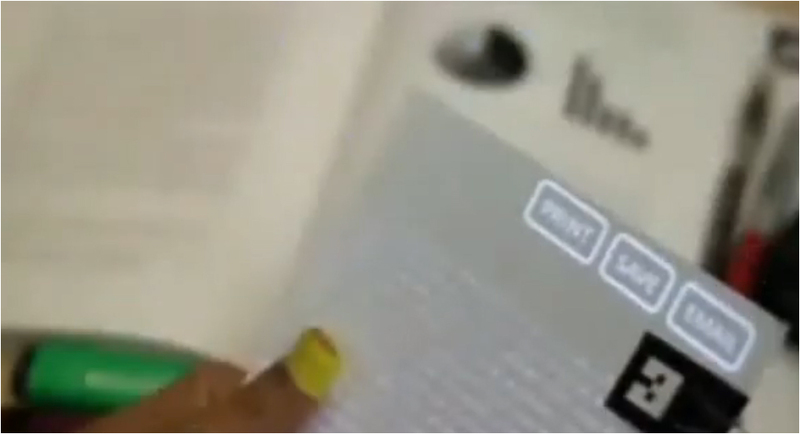 The eInk reader was heralded as the next consumer ‘must have’ and the tool to promote a return to mass reading. However, it was dull, chunky and reminded you of those early and non-portable laptops or the early mobile ‘brick’ phones. We saw eInk as a transient technology, a black and white TV in a colour TV world. Despite its failings, short life expectancy, high ticket price and the lack of real depth of digital content, the eInk readers still achieved some significant steps. They dramatically reduced the ebook formats to basically two open ones– Adobe eBook and epub, plus Amazon’s proprietary Kindle format. Also they achieved wide adoption of a single DRM service – Adobe’s ACS4 and in doing so opened up inter-operability between devices. Importantly, the eInk reader gave the market confidence to move forward with ebooks. In 2006 we had smartphones that weren’t ‘smart’. Their old and tired operating systems were built for the previous era and constrained their user interfaces and ability to browse the web. The impact that Apple’s iPhone had on the market can’t be underestimated. Overnight the mobile phone was redefined. First the ‘look and feel’ changed from trying to accommodate keys and screen, to touch screen. Second the device became multi media offering video, audio and colour. Third it continued to exploit the inbuilt camera. Fourth it was wirelessly connected 24x7 to the internet. Finally it introduced, promoted and generated a new form of application – the app with its own app store. The iPhone also has had a significant cultural impact and introduced new technology which has been enthusiastically accepted by young and old. It is the invention of the first decade of the 21st century. The potential rival came from the most unexpected quarter - the search engine and advertising giant, Google. They also took an unexpected strategy to provide an open solution to all the vendors. The Android was capable of multi tasking and also had an open app store. Just as the iPhone had done some three years ago, the iPad starts to re-defined the mobile and media User interface. Forget that it doesn’t have a camera, is not multi tasking, doesn’t have some simple and widely used connections, doesn’t support Flash. These can be and will be fixed. It is about redefining the user interface, applications and portability. The question now is not about the applications we will use in the future. Will we now adopt a ‘thinner’ approach, accessing applications from the Internet and running and storing files via cloud computing? Google were scanning first and asking questions later. They were hoovering up all library works and creating a sizable repository of digital content. Their main competitor was Microsoft with their Live Book Search book scanning programme. In May 2007 Microsoft declared that they were pulling out of the race. The sight of Microsoft’s enclosed Stand at BEA 2007 and publishers being shuffled in through the closed door one by one, to be quietly let down in confidence, must go down as the most embarrassing public market exits. Google was now free to put its foot down, to scan on regardless. In October 2008 the Google Book Settlement was unveiled. We have written numerous articles on what we see as this ill conceived and audacious ‘land grab’ for little money and exclusive gain of orphan works. Our articles chart the events from day one when we declared it ‘The Great Book Bank Robbery’ to today, when we await Judge Chin’s decision on the revised settlement. The industry took too long time to understand the implications and had to be informed by many from outside, such as the US Justice Department, before the tide started to turn and people started to understand the challenges posed by the settlement. Whatever the outcome, it heralded a new era where new entrants seemingly went after the prizes. Google have now announced they are to sell digital books and compete head to head with booksellers through Google Editions and they continued to scan. However, Google now face significant opposition in Europe to the Settlement and their scanning programme and now face a second class action legal suit from illustrators and image rights bodies in the US. Google highlighted to an industry that was built on the trading of rights that it didn’t even have a rights registry, nor the collective will to address one without being funded by others. Apple's Steve Jobs said of the Kindle and reading in 2008, "It doesn't matter how good or bad the product is, the fact is that people don't read anymore... The whole conception is flawed at the top because people don't read anymore.” We have recently witnessed his apparent 360 degree turn with the iPad. The truth is that you have to look at what drives a company to understand what they want out of any market segment. Apple is about Appleworld, a xenophobic and insular control approach to moving device and service sales. Books only interest them if they sell devices. Sony went head to head with Amazon. They did provide the epub push and forced Adobe to spawn the ACS4 DRM service. However they created four devices in less than two years and although they sold reasonable numbers of units, some would suggest they lost their way and have missed the boat. Adobe’s support of epub was a brilliant move in not only capturing the high ground but also in tying it to their ACS4 DRM service. It also enabled them to lock themselves into many of the new eInk devices coming on stream. However, the major trick was to ensure that their solution not only supported epub, but also Adobe eBook which was based on the ubiquitous PDF format. Amazon now covers all the bases from the author to reader. They support authors direct, are a publisher, own the audiobooks market, have the largest physical global bookstore, own a sizeable chunk of the ebook market and have a global brand synonymous with value and service. Their most significant move has been to drive down the cost of ebooks. Publishers may believe that the agency model gives them back control but when we step back, we find that the ebook price is still a lot lower than originally envisaged by many publishers and Amazon’s revenues are now protected irrespective of the price paid. Some may say this is not a wise move by publishers and one that also presents new potential issues on tax in the US and retail price maintenance in the UK. The majority of digitisation programmes have merely taken the physical book and poured it unaltered into the ebook. In essence the editorial and production process continued unchanged and the finished book was then ‘converted’ to an ebook, merely replacing the physical jacket with a digital one. For all the huff and puff about digital many publishers’ editorial and production workflow are still rooted in the analogue world. We wrote a number of articles on the Japanese revolution with the Keitai novels and digital Manga comics. However we saw little movement in the West ‘book straight jacket’ economic model of 250 to 300 pages. We did see limited experimentation with multi media and others starting short story publishing programme. But these were the exceptions. We believe that Digital Publishing is Publishing and is about everything from author to reader, not just the finished product. The Author has now been given the opportunity to go direct digitally. Previously print on demand (POD) offered a limited channel to market but it was cost prohibitive and demanded relatively high unit price. Many things are driving the author to rethink digital. The higher royalty rate originally offered by publishers on digital, has slipped along with advances, the midlist and back list authors continue to be overlooked. Publishers such as Random House believe the ebook is ‘just another book format’ and irrespective of contract, to claim digital rights. Others would like to rights reversals not applied to digital and POD to effectively keep books in print. Scribd, Wattpad, Amazon and Lulu.com have all started to offer authors a digital self-publishing opportunity and channel. In a weird twist, the new agency model could be the biggest boost to authors going digital by themselves. US author J.A. Konrath claims that he can sell more ebooks at lower prices than a publisher and earn more to boot. Under the 70/30 split things suddenly get a whole lot better! He thinks the $2.99 could become the new bargain rate for authors such as himself and one that which will look very attractive against the ‘safe’ publisher pricing. Social networking has exploded into the culture. Today, Facebook is getting more hits than Google search. Twitter has also exploded onto the scene and Ivy Bean showed that you are never too old to learn and at the age of 103 started to Twitter. Now 104, she has some 55,000 followers.Facebook and Twitter have made celebrities out of people who many would not have even heard of. Together with the likes of YouTube, they have revolutionised journalism, even woken up politicians to new ways of communication and reconnected people who where disconnected in the old world. In many ways Facebook, Twitter and YouTube are the new Gorillas in the back yard of publishing and pose as much opportunity, challenge and threat as any in tomorrow’s digital book market. When YouTube co-founder Jawed Karim posted a 19 seconds long video called "Me at the Zoo" on April 23, 2005 he and his colleagues could not have imagined that just some five years later they could claim over two billion hits daily. It clearly is ‘the’ video platform of today drawing in more viewers than the three prime time TV stations combined. Whilst many continued to watch TV many started to make TV via YouTube. However given the average daily YouTube fix is only 15 minutes compared with the 5 hours of TV watched it is easy to see it still has growth potential. It could become a traditional content distributor like the cable channels live streaming TV. The site was bought by Google near the end of 2006 for $1.65bn and although the site has struggled to reach profitability this could be now changing. Our Forth report for Seoul looks at the array of ebook readers on display. We say the usual array of ‘lookie likie’ eink reader plus some new ones like the NuuT which is specifically for the Eastern market. They certainly looked a sorry sight laying on one stand where they were huddled together like suspects on an identity parade but in this case desperate to be picked out. We saw Spring Design’s Alex reader which with its two screens offers ‘black and white’ and ‘colour ‘ TV but as we pointed out the colour screen was no larger than today’s mobile phone screens so seemed rather superfluous and like most people we tend to read a book or browse separately. We saw the Biscuit with its keyboard which clearly looks like it will not survive the rigors of real life usage. It reminded us of those calculator raised keys that after time fail and in this case were inadequately protected. We imagine that these keys will break off or be damaged as the reader is pulled out of its holder. We saw the iPad standing their 'head and shoulders' above the rest with its crystal clear colour screen. However when Annie picked it up her immediate reaction was to say ‘its far too heavy and I can get a netbook that is lighter…its not portable. It will not fit in my bag’ Interesting, as it’s a comment we had not heard before and its always good to get an instinctive comment from someone who buys devices but doesn’t drown in a sea of device reviews. Our third report from Korea looks at Book Technology. Technology often follows a path which starts with creation moves into a prototype and development then gets adapted to solve a specific needs, gets refined with more input and then if its appropriate gets adopted by a wider audience. Often there is a disjoin between those who create and those who adopt and its this business adaption where many fail or succeed. So it was very interesting to walk around the Seoul International Book Fair and see technology being adapted. Well you couldn’t make the name up could you? The shower immerses the book in a cubicle and literarily blows its cobwebs away, removing the dust and grim accumulated from sitting on a shelve neglected for too long. At first we watched transfixed like someone watching a spin dryer for the first time and asking ourselves why? The device was adapted to be used in libraries to sterilise books removing mould, bacteria, viruses such as H1N1 and ‘infectious worms that threaten our children in the daily life’. Like that old Demstos slogan ‘It removes 99% of all household germs’ and all in 1 to 2 minutes! However apart from the obvious application to sterilise books by ultraviolet rays and freshen them it also has an electrostatic film filter that removes dust. This was of interest and we immediately thought about our scanning programme and whether this could improve the reliability of the scan by removing particles from the process. Interestingly this was something the manufacturers had not thought about and again is about adaption within the development cycle. The Shower comes from IVS Innovative Visionary Systems and costs about $5K. We went to see another POD (print on demand) offer and were drawn by the machine and process next to it the ‘ECO Automated Library’. Imagine you are at home on the computer logged onto the local library, you select a book and ask for it to be available at your local station for your commute to work, alternatively it’s late at night and you want to collect a book but the library is shut. You may even log onto the library via a mobile and request a book whilst mobile. You may just want to return the book to the shut library and want a drop off point. From the other side you may be a library just wanting to automate some library operations to free staff to face readers. The system has a number of components which are for an in-library service and self checkout. It is based on an integrated inventory management approach and security control using RFID and barcodes. However the one that caught the eye was the ‘Automatic Material Dispenser’ which offered something different and we thought was literally outside the library box. Anyone who has been to Japan is familiar with the dispensers that are on the street. This is another one, but one that is aimed or adapted for books and not targeted for the street, but stations, community locations or even outside the library itself. The principle is that a user selects and is allocated a specific collection box and maybe even time window. They go to the dispenser identify themselves open the appropriate box and take the book. The box is empty and can be refilled and reused just like a left luggage box in a station. Returns can also be accommodated by a separate machine. Ok we have all seen book dispensers sitting idle at airports filled with a selection of the latest blockbusters. However, imagine you were going on holiday and could pick up your book at the airport and return it when you come back. Imagine a large office, a mall, a bus station even out side the library itself. All that is required is a delivery the book to the appropriate dispenser slot. The basic unit from ECO costs some $25K US and comprises of a control section with two racks of 12 lockers. This can be enhanced to accommodate 8 racks providing 96 lockers at a cost of $5K per two additional racks making a total of $40K. There is the obvious cost of floor space and distribution, but it has many potential uses. ECO have over 500 libraries in Japan and Korea using the library automation system and have an impressive 75% market share in Korea. Why not use by a bookstore that can take orders over the net and uses the dispenser to offer 24 store service or additional local distribution? Why not use it for the safe unattended collection of other documents, uses within large or sensitive organisations for confidential distribution, or even have it fed by a POD service? We hope to have a video clip from Korean TV of Annie and the machine later this week. It is basically a secure locker system that controls the distribution of stuff to an authorised person by self selection or push distribution. The user interface to the system is open to any mobile or PC device and the locker is just a personalised collection and return point. As we said at the beginning technology is created, built, refined, adapted refined and adopted. Some never make it past the drawing board but we fell this one has the potential. In this second letter from Seoul we look at its booktrade. Korea is at the heart of digital manufacturing technology is behind the digital curve with respect to the booktrade. It has a strong literary culture, have a highly educated population and love books. The Korean market is dominated by two large physical resellers and an Internet retailer and although there is a strong independent reselling community, just as in the West, they struggle. We had an open two hour discussion with a group of representatives from the independent booksellers. Their concerns were not unlike those of their western counterparts and we suggested many ways on how they can move forward in this new digital age. However as always there are differences. The largest difference was on pricing. Like many other countries, Korea operate a fixed price book market. However, this only applies to books traded within stores not those sold over the Internet. ‘Yes24’ Their large internet book reseller, ‘Yes24’, can effectively discount the same physical books to that ‘fixed’ on their physical counterparts. This is madness and effectively ties the bookstores’ hands behind their backs and asks them to compete on a clearly uneven playing field. As in the West the large stores can buy on better terms and also demand the usual retail extras for ‘product placements’ and ‘shared marketing contribution’. This acts as a double whammy on the independents who do not have the same buying clout. As a result the independents are being squeezed out even before digital books make their mark on the market. We suggested collaborative opportunities, broadening the range past the sale or return front list, community building, specialisation, email marketing, digital affiliate ventures with the larger outfits and many of the incentives tried in the West. What was clear is that they have to start thinking and acting as one. The significant eye opening sight was to visit the second largest reseller YP Books in Seoul. It was large with a significant range of Korean titles plus an English language section that was probably larger than most independents. Books were clearly stacked high on tables, shelves bulged books, signage and navigation was excellent and in merchandising alone it could teach many in the West. However the sight that took us all back was the number of people that were there on a Friday afternoon. They were also nearly all under 30. They were browsing, buying and reading. They were even sat on the entrance steps, on the floor between the aisles and were reading books! The Seoul International Book Fair was attended by 596 publishers from 21 countries and clearly demonstrated the width and depth of the Korean market. It was held in the COEX centre and occupied a large hall full of the usual booths full of books and interestingly didn’t have those often ostentatious ones that we find in other fairs. As a side issue Korea’s birth rate is dropping dramatically as women elect careers over babies. It is a major social trend but it means the children of today who clearly love books will love books tomorrow. The sight of infant school children being taken into to the Book Fair on an outing on the Fair’s opening day was heartening. The children were all smiling and enthusiastic and perhaps this is something that others could well learn from! Finally we were taken the city outskirts to Book City. Its somewhat ironic that the government choose to place cultural Book City and the nearby artist community project right on the border with the North. From the rooftops you can look across over the barbed wires and lookout boxes across the river and into the north. Book City is a government incentive to consolidate publishers, printers and distribution in one location. It houses some 100 separate publishing units and although the Supply Chain benefits are clear, publishers can find themselves split between a Seoul office and Book City. Which departments work in Seoul and which commute to Book City is an interesting question. This week we will be writing several articles on our visit this month to Kyoto in Japan and the Seoul International Book Fair in Korea. It was an experience of a lifetime to visit these ancient cultures which are also firmly placed in the 21st century. Kyoto offers some 1600 Buddhist temples, 400 Shinto shrines, palaces, gardens and museums and 17 Unesco World Heritage Sites all living cheek by jowl with a bustling city and modern architecture such as the impressive Kyoto station.Seoul which has been ravish by wars still maintains it culture but this set in what is a modern powerhouse of a city. Our articles will cover our views on the book trade and its challenges on Korea and Japan and also the presentations made by Michael Cairns, Prof. Ernst Fisher of Johannes Gutenberg University Mainz, Germany, Hiroshi Kagawa the publisher owner of IBC Publishing Japan and ourselves. As well as the paper, we also did a major revision to our Brave New World report which reviewed the four years since we wrote the original and look forward into the long term. We will be making these available this week. Finally we also will share some very interesting book technology that we saw at the Book Fair from the likes of ECO Inc, Korea. We hope that we will also be able to share TV interviews we did on the ECO stand. The welcome we received and the planning of not only the conference, but discussions, meeting and press was exceptional and we thank our hosts the Korea Book Trade Promotion Chong-Su Kim and Haengung Park. Greater Seoul is a city of some 25 million and accommodates some 50% of the population of South Korea. It is the powerhouse of the region and the booming Korean economy yet is steeped in the arts, culture and the book. As Prof. Fisher reminded us, Korea is the where, even before Gutenberg, the first steps towards printing with movable type took place. Seoul is modern city with wide expressways and large and busy underground and transport system and modern architecture in quantity and quality to rival any in the world. There are shops from around the world, from Starbucks and Dunkin Doughnuts to Daks, Armani and Prada. It could be easily mistaken for any major US city. We never expected Seoul to be so huge, diverse, modern, cultured and yet be thriving so close and a stark contrast to its hostile Northern neighbour. When we look at the news feeds we receive, one stands out – The Huffington Post. It is not not The New York Times, nor is it a specialist paper, but it content is often both informative and quality. On 9th May, 2005, Arianna Huffington launched The Huffington Post and aimed it to be the first Internet newspaper. Some 5 years later she has succeeded were many haven’t. The Post has turned its back on the 'Murdoch Pay Wall' and also on the vertical specialist approach of others. It is now in the top 10 current news and events sites, achieved some 13 million unique visitors in March, has seen a 94% user growth in the last 12 months and posted some 2.3 million comments in March. It is fast chasing the New York Times’ 16.6 million users and is now targeting the reading audience size of Yahoo News, CNN Digital Network and MSNBC Digital Network. They recognised early that the reading audience wanted diversity in one place and created 20 sections ranging from food to books. In many ways the Huffington Post resembles the old fashioned newspaper in the range of topics covered. The content is created by some 70 reporters and editors which are complimented by 6000 unpaid bloggers and content from Associated Press. Their 'low cost, high content' formula appears to be working and they expect to be in profit later this year. Congratulations to the Huffington Post and to your continued growth. As Apple shares hit record highs a US blogger is quoted in The Week comparing how if you investing in Apple stock rather than buying their new products at launch you would be a lot better off. Kyle Conroy claims that if you had spent the equivalent money to the cost of the AppleMac Server G3 300, they would be worth $205,444 today. $249 on the iPod in January 2004 would be generating $6,103 profit today. So its interesting to read the cost of owning an iPad, or investing in Apple from mobile operator Orange. The 3G models iPad will cost from £529 for the 16GB model, £599 for 32GB and £699 for 64GB. Aternatively you could shell out £429 for the 16GB Wi-Fi model, or £499 for 32GB,or £599 for 64GB versions. Once you have sunk that investment you find the cost of ownership. Apple has added a £100 premium for the addition of 3G functionality. Today Orange declared their rate card in the UK. Short term has two rates; £2 a day and capped at 200MB, or a week's browsing capped at 1GB for £7.50. Monthly has two rates Monthly 15 which costs £15 per month and offers 3GB of mobile data and 750MB of Wi-Fi access through BT Openzone hotspots, and Monthly 25 which is priced at £25 and offers 10GB of 3G browsing and 750MB of Wi-Fi access. Finally, pay as you go at 5p per MB of data. So the iPad is probably one of the defining technology gadgets that shows us just how gulable we actually are to slick marketing and technology hype. So tablets have been tried before and failed and the iPad is going to redefine the table and change the world as we knew it? The iPod changed how we listened to music, created iconic desian and iTunes. The Nano shrunk it down to the right size. The iPhone, redefined the mobile smartphone, once again gave us iconic design, introduced the app and app store and gave both old and young a new device. The iTouch was just an iPhone without the phone and was a device waiting to be gazumped. So why has the iPad sold so well and been received so warmly by the consumer market? After all I has no phone, its e-reader software isn’t preinstalled and, doesn’t display other reading material such as magazines and newspapers. It has games but is hardly a serious Xbox 360 or Nintendo killer. It competes with netbooks and laptops but can’t support the basic software or have a basic file access system or print facility. For many it forces the world of the web into new devilment and shuns tools such as Flash. So is its purpose to merely put a stake in the ground for what is to come and if so should we not wait for the proper version and avoid the prototype? Perhaps Apple had to throw all the balls up in the air so they could position the market for tomorrow. Let’s state the obvious you will still need a mobile phone and a computer so the iPad looks an expensive designer label with limited functionality today. Unless the firm is buying one, why on earth would you? We commented the other week about the poor branding of the German iPad rival Neofonie’s ‘WePad’ and it has now rebranded itself "WeTab". 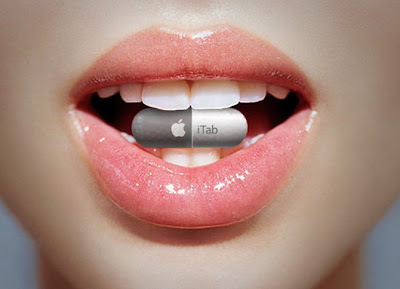 They say it was to "clearly differentiate [their] products within the international market for tablet computers". But they still failed to change the obvious branding gaff. However they are not alone on the tablet space with the French now entering the market with the Archos 7 which offers full web browsing, high definition video, a USB port and all at an amazingly price of €149. 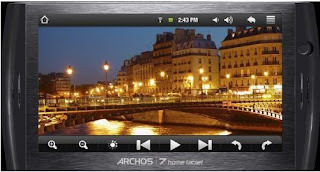 The 7" Archos touchscreen (800x480) is smaller than the iPad and is 12mm. So in some respects it fits half way between the phone and the tablet and importantly is portable enough to slip in your jacket pocket. The other plus is that it is Android-powered tablet comes in 2GB and 8GB versions, is WiFi, also enabled for social-networking applications, email, photo browsing, and has a MP3 and movie player. It also has that USB 2.0 port for connecting you to other devices. The minus points are that it doesn’t have official access to the Android Market Place app store but can be customized with around 1000 compatible Android applications from Archos' own AppsLib Market. It also only runs on Android version 1.5 with no plans of a future software upgrade. The final negative is that it doesn’t support Flash. ComScore claim the most downloaded iPhone app in the US is Facebook , in the UK it's iPint from Carling and in Europe it's Shazam. Shazam like Spotify is rewriting music as we find and consume it in this new media age. At the end of last year some 50 million users were accessing the service each month and 15million of those were on the iPhone). Like Spotify it had the challenge of moving free users onto a paid service and it did this by launching its £2.99 one off payment service Encore at the end of 2009. Encore, comes with unlimited tagging, faster performance and a range of extra features such as music search and geo ticketing. The service has gone past mere identifying songs and offering the music, it now can determine where you are and tell you if that artist is playing concerts in your area and offers you the chance to buy tickets directly through the app. The interesting strategy that sets Shazam apart from the rest is that it doesn’t want to own the music space and is willing to share it with others such as Pandora and Last.fm. This gives it a great position as the entry point for search and discovery. It also is available on multiple platforms not just the iPhone. It clearly sees the mobile space as the market and with and increasing number of smartphones, apps it makes sense. Although the iPhone, Android, RIM platforms will dominate, Shazam also are committed to supporting other handsets and working in regions such as Latin America, Africa, the Middle East. This gives them a huge market. Shazam couldn’t be simpler and solves that age old challenge of naming that tune that’s playing. It does this some two million times a day and adds 750,000 new users every week and importantly around 8% of users who tag a song but it from an affiliate stores such as iTunes. You could say it is simple but in its simplicity it is fast becoming the ‘cats eyes’ of the mobile market. We were impressed when we heard Neelan Choksi, one of the founders of Lexcycle, speak at ‘The Tools of Change’ conference last Frankfurt. He displayed enthusiasm, genuine interest in publishing and a clear understanding of what drives users, commerce and how to apply technology. He has now decided to quit the company he helped establish just one year after it was swallowed up by Amazon. There is no clear statement as to why Choksi has gone and the Stanza ereader remains one of the most respected in the market. Can Amazon absorb acquisitions? The record appears to say not as there is always start with much talk about backing the entity to move forward as before but within a larger family and then some would say that there is often little substance to support that. As for Stanza the star still shines, but it’s dimmer and lives somewhat outside of the Bezos Kindle world. Before Amazon bought them Stanza had declared their intent that they would embrace Adobe’s ACS4 DRM. This would have been a significant move which would have opened up DRM ebooks on mobiles, but one year later that obviously got dropped. Logic would say it would be good to have Stanza and Kindle both reading the Amazon files. Logic would say that Stanza offers Amazon some extra protection against the new threats of Apple and Google, but little can be seen that thinking prevails in Seattle. Apple has announce that it has sold over 1m units of the iPad in just four weeks since its launch in the US. So Steve Jobs appears to have the Midas touch and now has it most successful launch. It has even had to delay the international roll-out of the iPad as it tries to keep up with demand. Since its launch, users have downloaded more than 12m apps and developers have created some 5,000 unique iPad apps. Apple claim to have sold some 1.5m eBooks, or one and half books per reader. However with the glory come the inevitable challenges. We have written about the Adobe Flash, CS5 and restricted development tool licensing. Apple has also banned app developments from transmitting analytical data which could prevent ad networks from being able to effectively target ads. This obviously would give Apple's iAd mobile-advertising significant competitive advantage. There are extensive reports that Apple may be investigated by the US Federal Trade Commission. Remember only last year Last year, Google’s CEO Eric Schmidt resigned from Apple's board after the Fedral Trade Commission had investigated whether sharing directors with other companies violated antitrust laws. Last weekend Apple launched the 3G version of the iPad. So far it has got mixed reviews with concerns being raised about video quality and differences in battery life. With the iPad now comes another jailbreak application. MyWi, which at a of costs $10 turns the iPhone into a Wi-Fi hotspot that can be used by the iPad to acess the internet. This would enable iPad users with an iPhone use the tablet under the same data contracts. The application however can only be used if the user has jailbroke their iPhone. If applications that enable the iPhone Wi-Fi take off then the network carriers will be the big losers as they expect each device to have its own contract. It begs the question why not design and sell it as way in the first place. It would lock in iPhone and iPad users and you would only be using one at a time. Finally, Apple is closing the streaming music service Lala, which it only bought last December. Some to question whether they want to move iTunes to be cloud based and onto a music subscription model and that they have closed Lala in order to reposition iTunes. This would certain start to support our belief that we will shift from owning to subscribing to media such as music on demand. This would take Apple into a new model and one it may not have wanted to do under Lala. Do You Have a Favourite Browser? The browser market is changing. Internet Explorer once had 9 out of every 10 users but now has less than 6 out of 10 and slipping. Firefox remains solid but stable and Chrome is growing. Wad it all those posters and the ad campaign by Google?. According to Net Applications, Internet Explorer now has 59.95%, Firefox 24.59%, Chrome 6.73%, Safari 4.72% and Opera 2.37%. Microsoft's IE8 is gets as many users being used by more than one in four users or the same as all the various Firefox versions added together. However you would expect IE8 to be converting IE7 and IE6 users but its this that are sliding and IE8 remains static so they are presumably moving elsewhere. The surprising fact is that IE6's share is greater than IE7's. Adobe’s Flash toolset is a very widely used on websites and powers animations, media players and other multimedia elements. The fractious war of words between Steve Jobs and Adobe has once again been escalated by Jobs. First Apple changed their app development rules and in doing so ‘black listed’ Adobe’s CS5 toolset that would allow developers to quickly translate Flash code to run on the Apple platform. The initial move by Apple effectively forced developers to develop two applications - one for Apple products and one for everything else. Jobs wrote openly stating that Adobe’s Flash is not fit for an era of smartphones and touchscreen devices and that experience had shown it results in "sub-standard apps". Adobe response was to turn its back on Apple and embrace Google’s Android platform and also RIM, Palm, Microsoft, Nokia and others. Jobs may say many things about Flash but if it performs on the other platforms, he may be seen as more of a control freak than many even think today. More importantly, he has to keep the app developer community onside and they have the power to say enough is enough and focus elsewhere. Meanwhile, Adobe have now decided to practice what it preaches and will giving everyone of it employees a free Android-based mobile phone and they will demonstrating an Android version of Flash at Google's I/O conference this month. Google is caught somewhat in the middle, happy that there is a differentiator between Android and Apple and one that also supports its products including Gmail and Youtube. But it is also a supporter of HTML5 and H.264, which are the competing standards to Adobe's Flash.